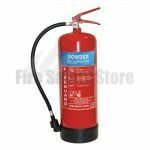 One of the most versatile pieces of firefighting apparatus, dry powder fire extinguishers are the most popular choice because of their generally all round protection. 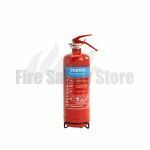 Here at Fire Safety Store, we offer these extinguishers to help safeguard your home or business. 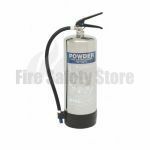 Adaptability is a word that is often used to describe dry powder fire extinguishers, and rightly so. 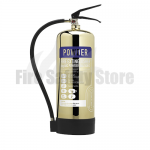 They are suitable for use on Class A (organic solids) and Class B fires (flammable liquids). 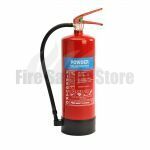 They are also they only type of extinguisher that is effective in the fight against Class C fires – fires revolving around flammable gases such as butane and propane. 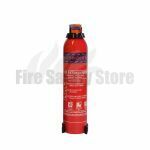 The uses don’t stop there though; these extinguishers can be used for electrical fires. It should be noted however that they cannot get through spaces in equipment too easily and caution should be taken to ensure the fire does not reignite. These canisters deposit a residue that damages electrical equipment and should only be used on electrical fires when there is no other option. In accordance with BS EN3 regulations, all fire extinguishers should have the trademark red body and a coloured label indicating the contents. 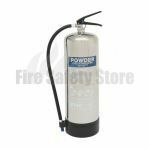 Dry powder fire extinguishers carry a blue label which is clear and easy to see in the event of any emergency. Perhaps the perfect choice for any business or homeowner where a risk of being susceptible to varying types of fire has been recognised, their versatility means that they are ideal for a great number of companies and homes. 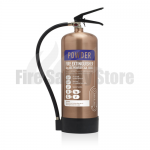 As the name suggests, dry powder fire extinguishers contain powder. This powder smothers a blaze, cools down flames from their preferred optimal temperature and stops the ongoing chemical reactions that occur which cause fire to spread and in turn helps to put out any burning inferno. Blue extinguishers should never be used on Class F fires – burning oils and fats. Therefore, they are best kept out of any such rooms, such as kitchens. The powder stored and produced by canisters can be potentially harmful if inhaled. It is not recommended to use them in very confined or small rooms or spaces. 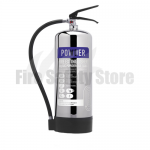 We carry five different capacities of dry powder fire extinguisher. No matter what your business size or needs, you will find exactly what you need in our range onsite. 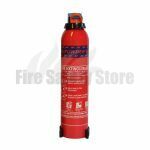 With a choice of 1, 2, 4, 6 and 9kg extinguishers, our range caters for all requirements. 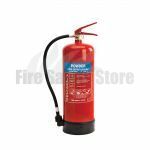 All of our fire extinguishers are provided with a five year warranty and a wall mounting bracket to ensure that although extinguishers are close at hand, they are never an obstacle. They are all BS EN3 approved to provide a safe product which conforms to regulatory guidelines. If you have any questions, please call us today on: 0800 3160890.